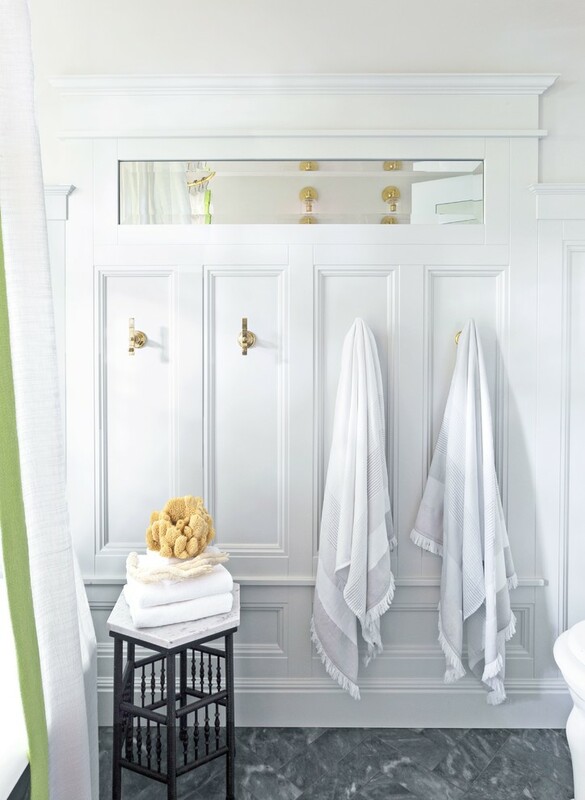 This bathroom was remodeled to bring the styling of the bathroom more in keeping with the rest of the traditional Shingle-Style home. 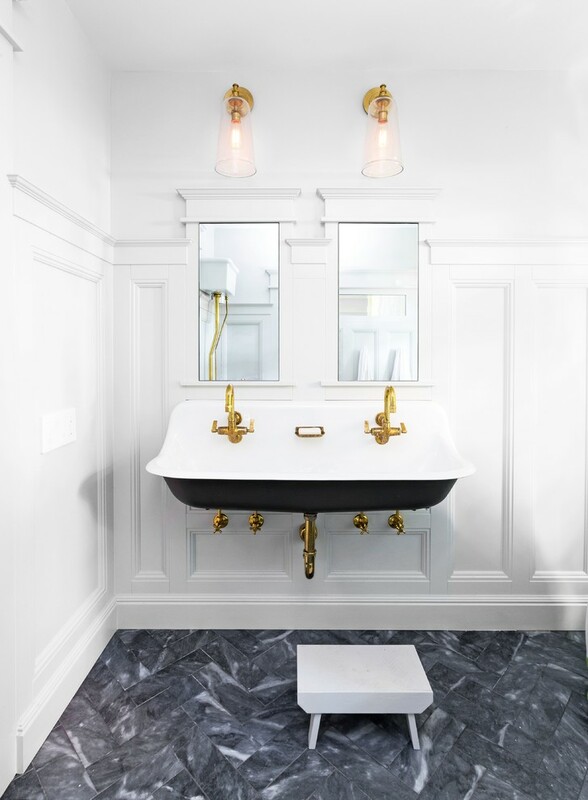 It is a children's bathroom, and the client's only direction was the incorporation of the Kohler Brockway Schoolhouse Sink. The rest of the design was built off of that to match the architecture of the home. 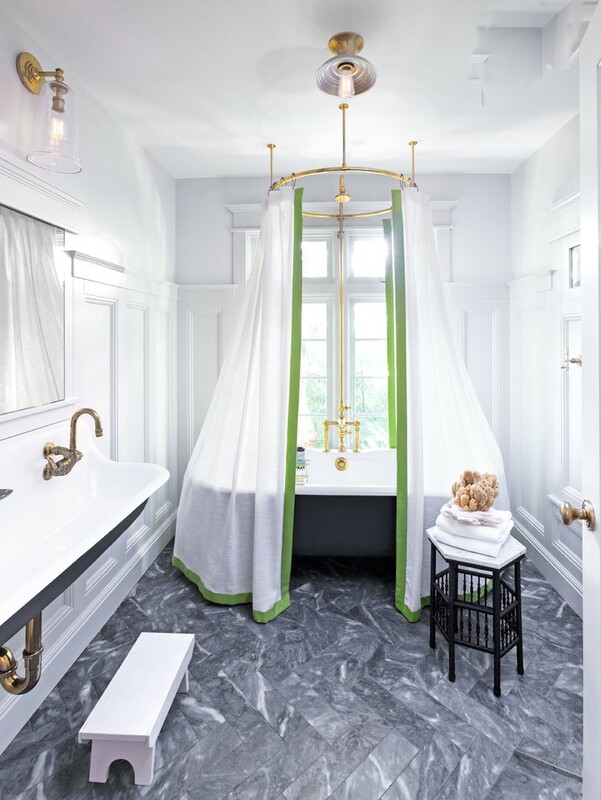 Benjamin Dhong Interiors designed the shower curtain.